Are you salivating yet? More Macaron Wars to come! 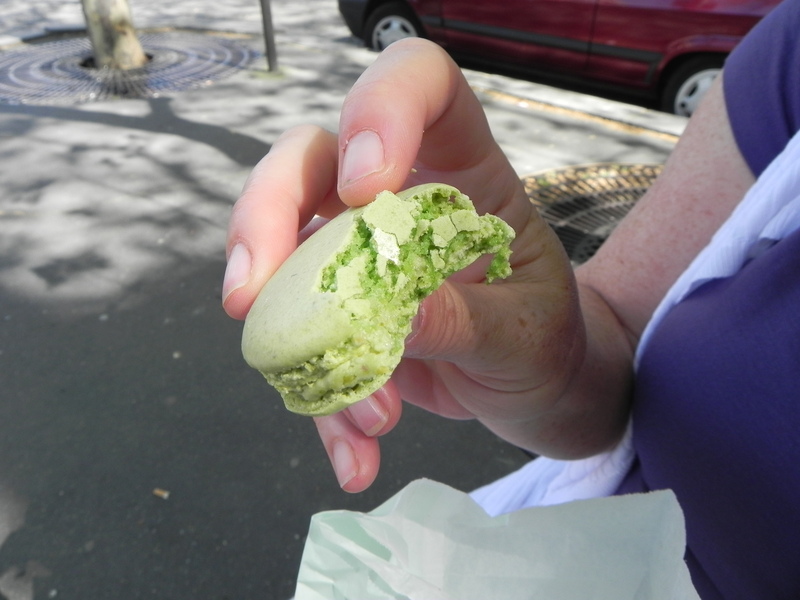 The Experienced Travelers continue the scientific macaron-tasting tour of Paris. If you missed Part I of the macaron wars, read it here. Like Rousseau and his ilk, we are enlightened thinkers and careful researchers. 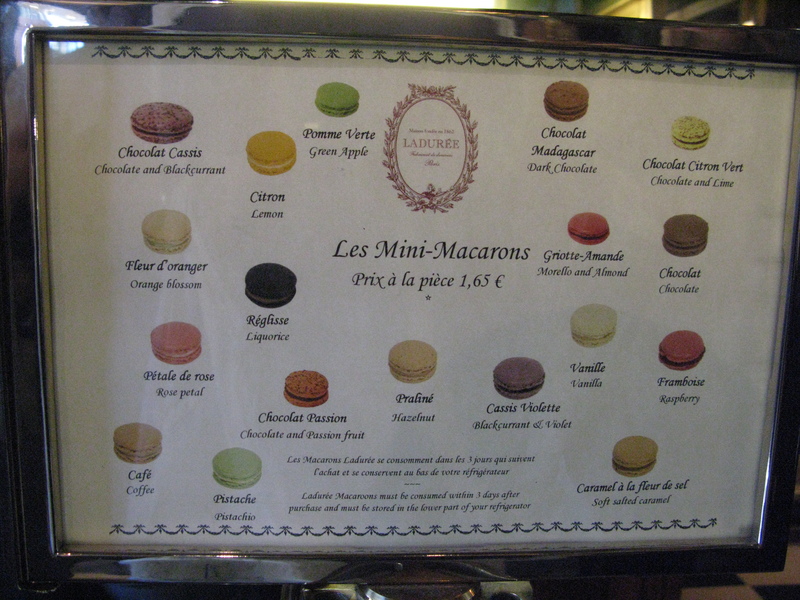 In this post, Melinda and I visit some of the top names in the heady world of macarons – and find a surprise for the ETs. It took days for Melinda to cleanse her system of the potent ganache from Cristophe Roussel and Stohrer. 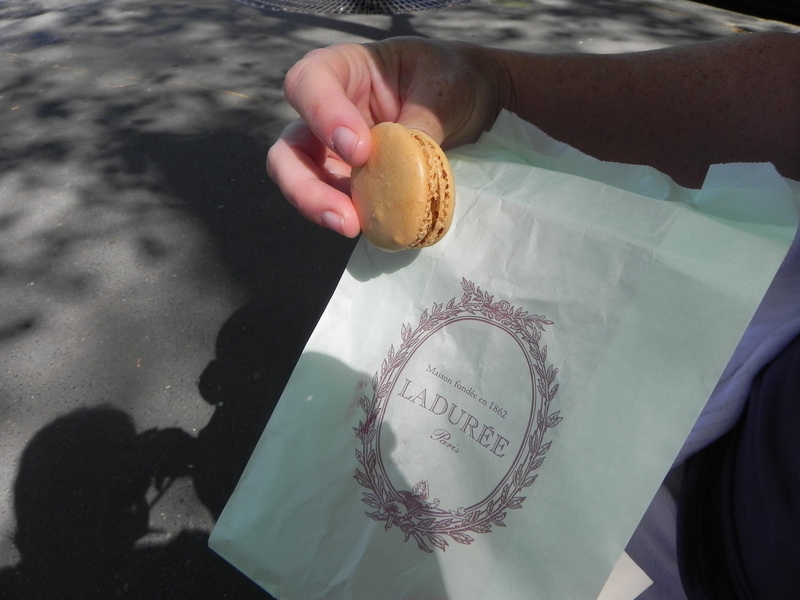 We monitored her blood sugar level until she was ready for another go and made a few stops as lesser-known purveyors of the blessed macaron, but didn’t find what we sought. Onward! Thus I felt the hallowed ground at Ladurée merited an quick genuflection, secretly done while Melinda bent over a case of extraordinary desserts. 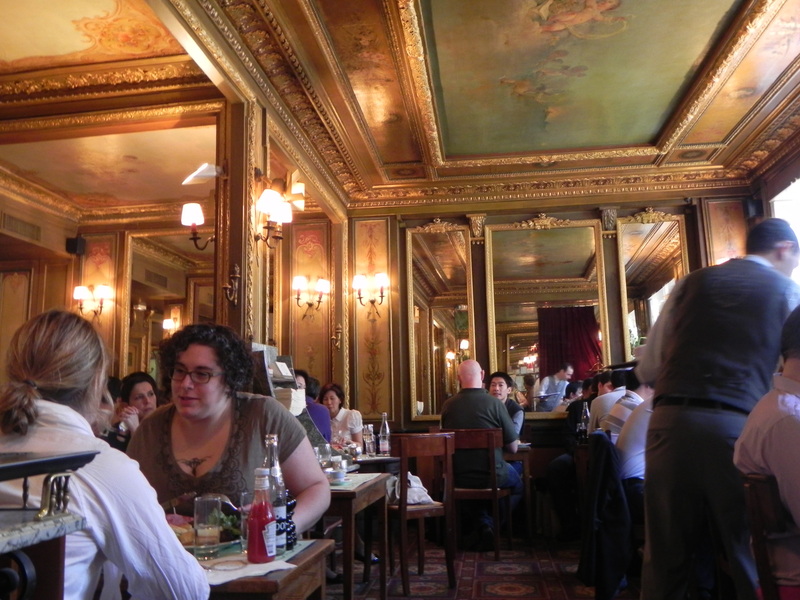 We waited in line for our macarons and watched the well-to-do of Paris enjoy the small tea room. No doubt these ladies have actually come from a haunt of haute couture, whereas we just wonder about it. At last, Melinda made her selection and we got to work. Ladurée is arguably the gold standard, and we were about to pass judgement according to our scrupulous ET criteria. 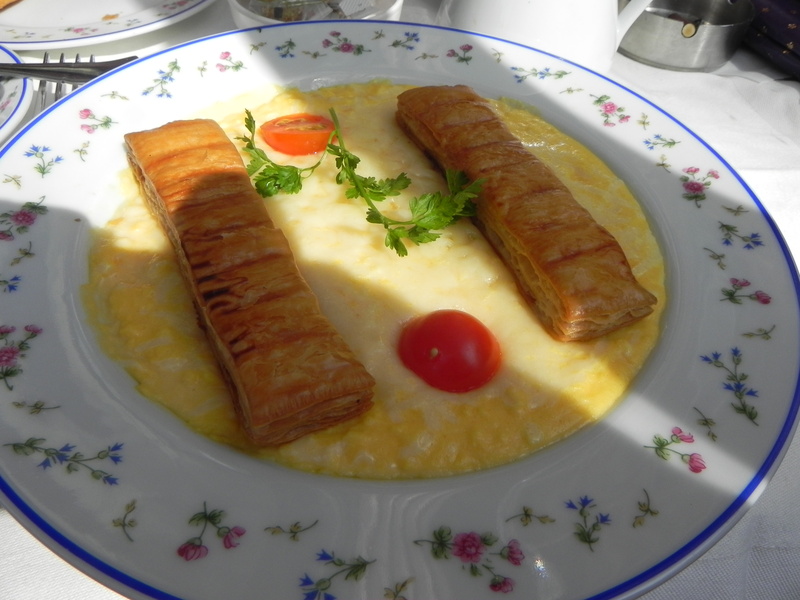 At the first bite, Melinda levitated slightly and smiled. Could Ladurée be the one? Firm outer cookies and rich ganache with complex flavor. A 4 out of 5. This was looking definite, but we had two more stops to make. A friendly French couple gave us two suggestions. 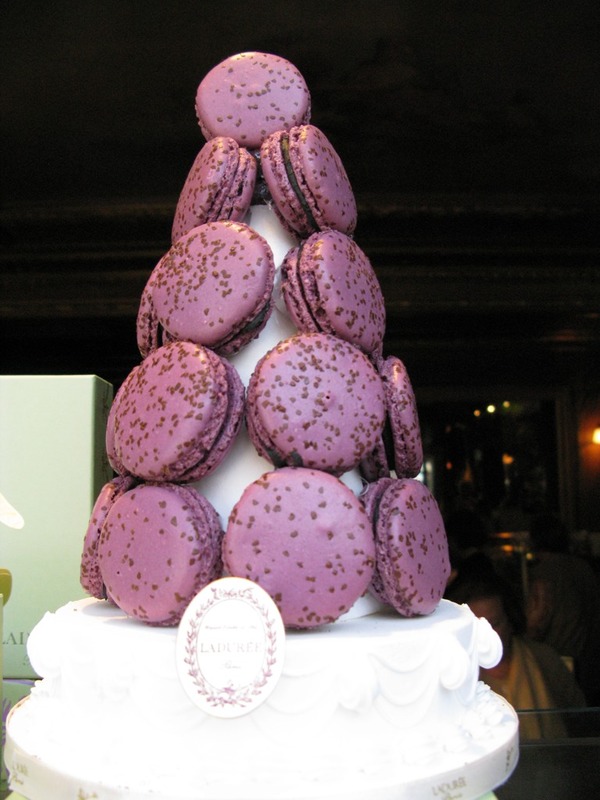 The first was Pierre Hermé who represents a new generation of macaron artistes that takes inspiration from a variety of flavors (including pâté . Yes. Pâté.) 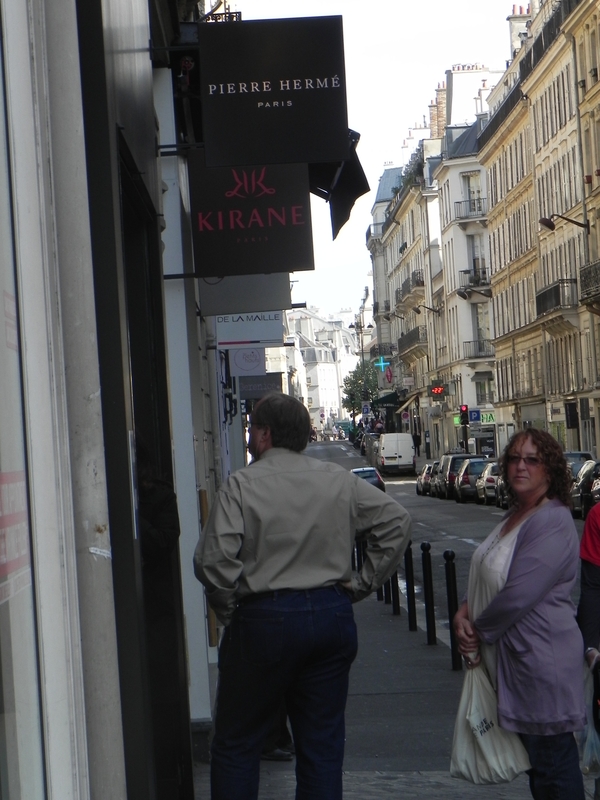 The line on the sidewalk outside his shop in the rue Bonaparte is a testament to the popularity of his creations. This is a very astute marketing ploy to make you slowly process by gorgeous chocolates and desserts until you succumb to a larger purchase. At more than $3US each the reward ought to be spectacular. Melinda geared up and the taste-test ensued; lemon and caramel. Melinda looked happy, but not elated. Her nose was mildly solicited, but her ears didn’t tingle. She found them a tad too sweet. Really? So flavored sugar pressed between two garishly-colored sugar biscuits can be too sweet? I was redoubled in my lonely stand against the macaron. After our long wait, Melinda awarded Pierre Hermé a 3 out of 5. Not what I expected! The second suggestion that the couple made was unknown to the ETs. 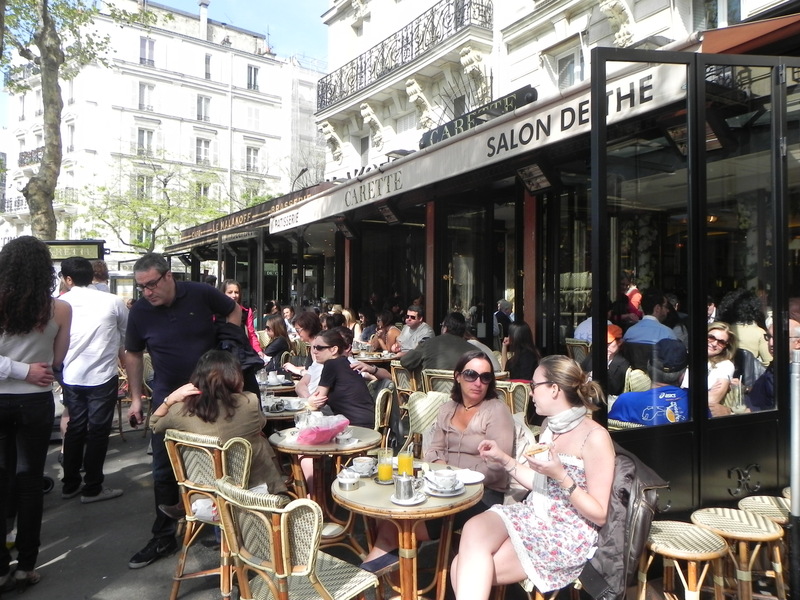 Next day, we traveled to Trocadéro, in the toney 16th, to taste-test the macarons at Carette, a very pleasant cafe-pâtisserie in the shadow of the Eiffel Tower. I had a late breakfast of smooth scrambled eggs and wonderful bread. But Melinda wasn’t feeling well and actually declined food. In France. After days of filling her system with the potent French weapon called the macaron, Melinda was weak and turning an odd color. If the French army had fired macarons from their artillery during WWII, things might have been different. So it was up to me – the declared macaron-hater – to make a swift purchase of assorted macarons and get Melinda back to the hotel. 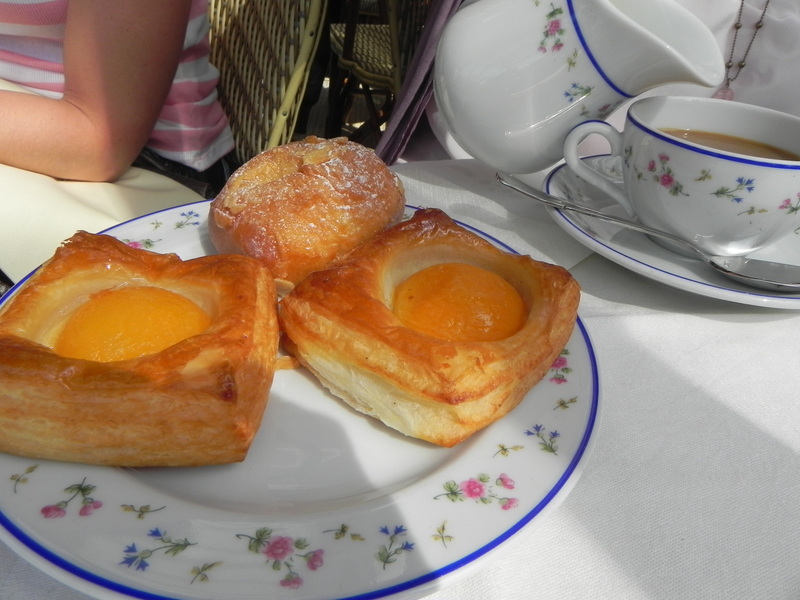 As our Readership might recall, Melinda made a swift and glorious recovery and tested Carette later that day. Ah-hah! The response I sought. Her eyes brightened with satisfaction. The smooth texture of the ganache was complimented by a perfect balance of flavor and sweetness. At last we have our 5 out of 5 in the ET scientific macaron taste-test. The holy grail of ganache in cookies is found at Carette, which earns a place in the ET Gastronomy Hall of Fame. 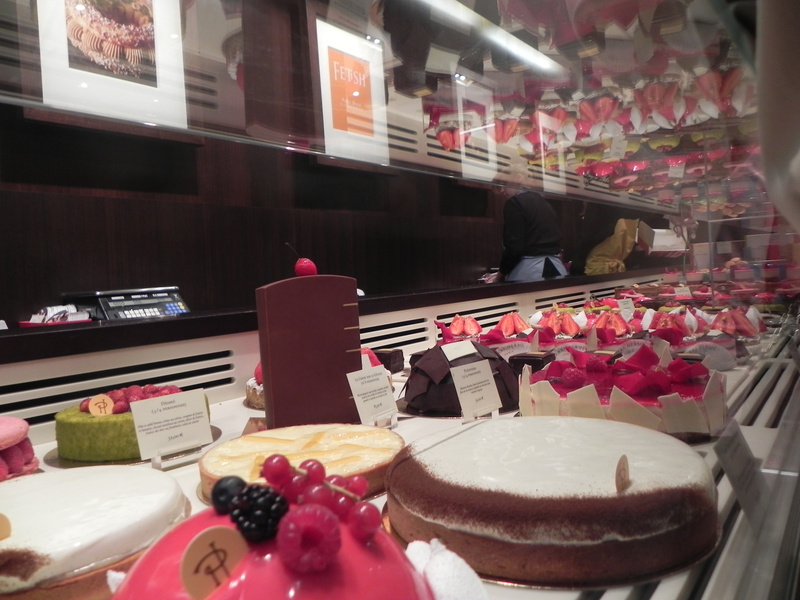 The final tally: Carette – 5; Ladurée – 4; Pierre Hermé – 3; Christophe Roussel – 3; Stohrer – 2. The challenge is on, dear Readership. Do your own comparison and let us know what you find! 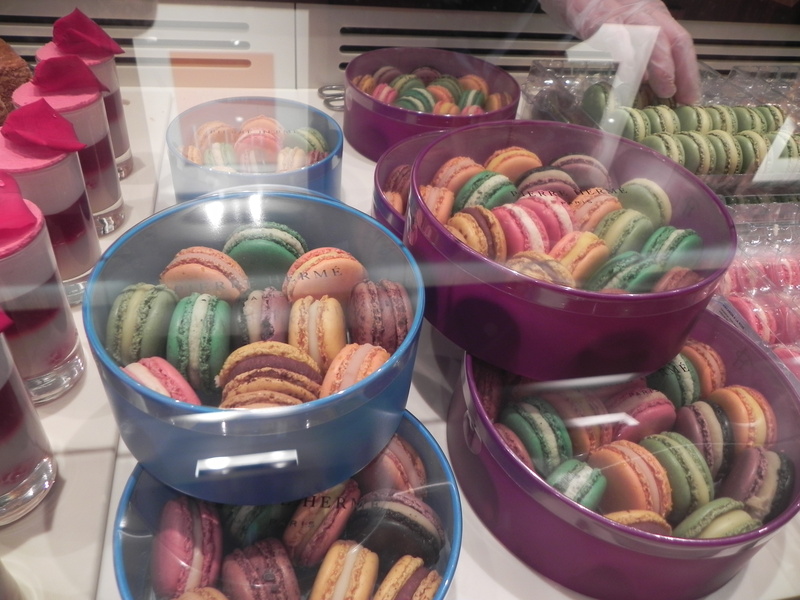 Update: Don’t miss Paris Patisserie’s latest macaron post!